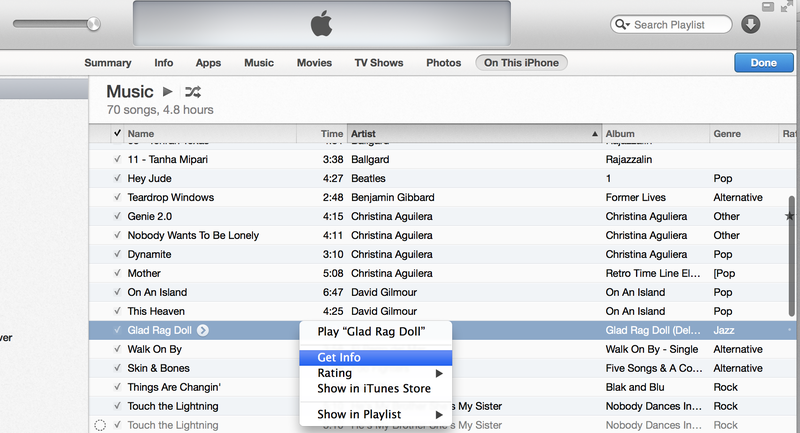 When I connect my iPod or iPhone to iTunes on a MacBook Pro, it will look like this picture attached. When I right-click on a song to delete it, there is no delete option. What am I doing wrong? This new iTunes has been so confusing. This is likely because iTunes is automatically syncing your music. When you automatically sync music, you manage what songs you have on your device by going to the music tab, and selecting which playlists/artists/genres/albums to sync or not sync. To manually manage music, click the Summary tab, scroll to close to the bottom, and in the Options area, there will be an option to Manually manage music and videos. 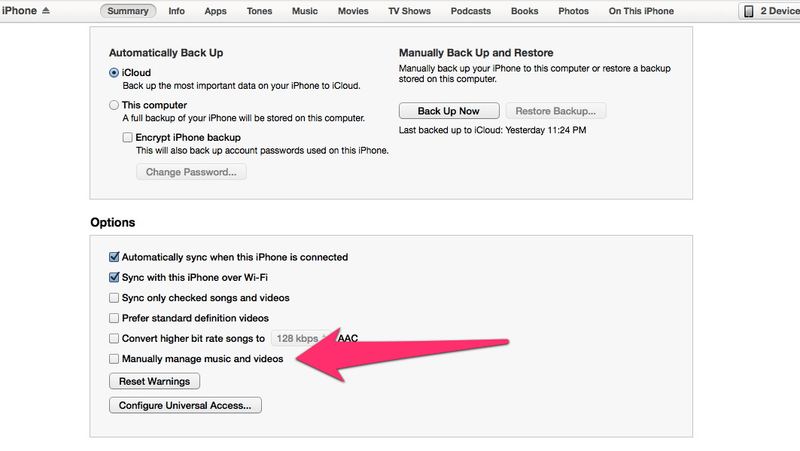 Select this option, and you should be able to delete songs and such from the "On this iPhone" tab. This is on a different computer to mine. I knew to enable "manually manage" etc. however itunes wants to sync to the library on the new computer erasing all my music before I can apply the manaul management of my iphone library. Really annoying not to mention I don't want the phone backing up all the time, sync maybe but not backup too. Also the change of layout was confusing. why did it have to change the old way worked. How can i set my iTunes across multiple devices to show the same history?